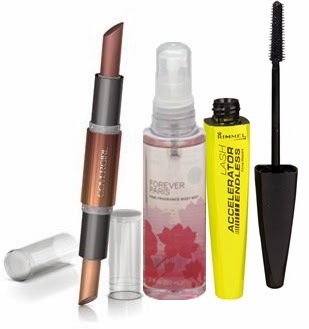 Michele's Little World: Free Beauty Events Giveaway Alert! Free Beauty Events Giveaway Alert! 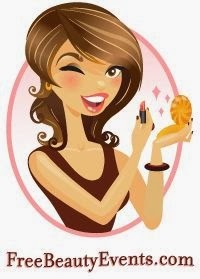 Free Beauty Events offers an array of fabulous current and upcoming events. What makes these events even more exciting is that they are FREE! What woman doesn't like to be pampered every now and then? Most of us adore being generous and loving to ourselves. Whether it's from a makeover, hair care, cosmetic surgery, or by simply using basic beauty products. Don’t forget to check out the new contest! For the latest contest, we will be giving away 5 prizes. Each prize will consist of Rimmel Lash Accelerator Endless Mascara, Extreme Black, COVERGIRL Blast Flipstick, and Minx Essence of Beauty Forever Paris Fine Fragrance Body Mist. The Contest runs from 1/1/2014 to 3/31/2014, winners will be chosen on 4/1/2014 and notified by 4/15/2014. After entering the monthly contest, check out the weekly blog contest!